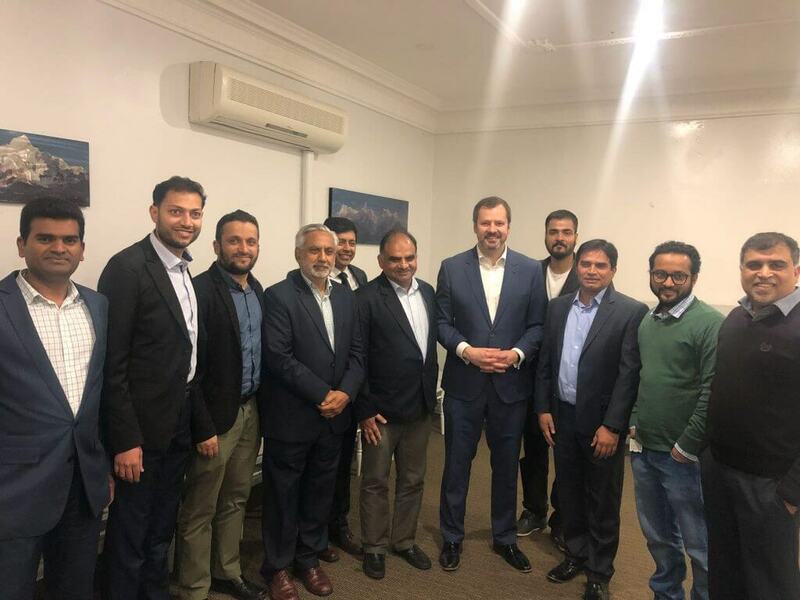 Ed Husic MP, Shadow Minister of IT and Communication shared his views with Muslim IT professionals of Indian origin on Monday 27 August over dinner at Himalaya Restaurant, Granville. 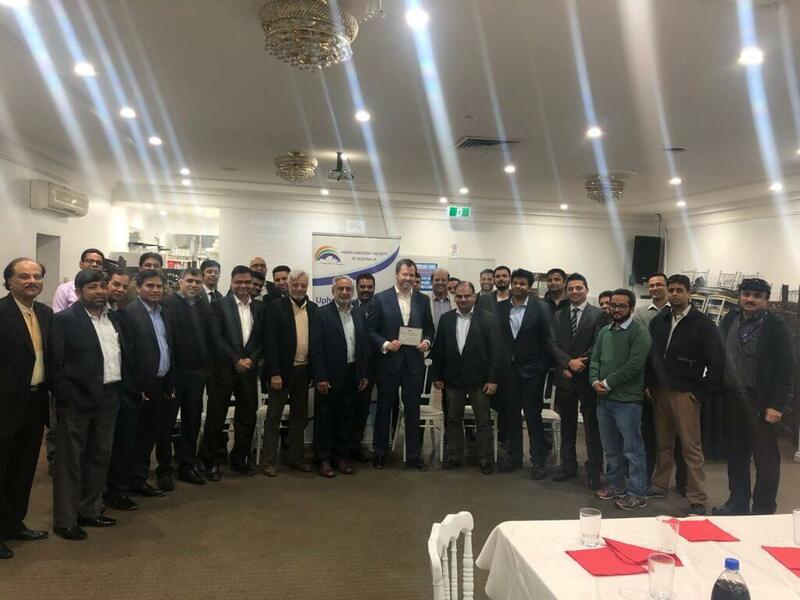 The event, attended by more than 30 professionals was organised by the Indian Crescent Society of Australia Inc led by ICSOA-IT subcommittee coordinator Syed Jafar, also included a lively Q&A session. The program was started with the recitation of Quran by Mr Moez Khan followed by Mr Abbas Raza Alvi, President of ICSOA acknowledging traditional owners of the land and presence of guests including representatives of community organisations. 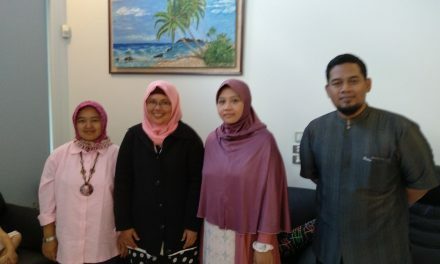 He gave a brief outline of ICSOA activities and achievements and thanked its members for their cooperation in holding successful events such as this. 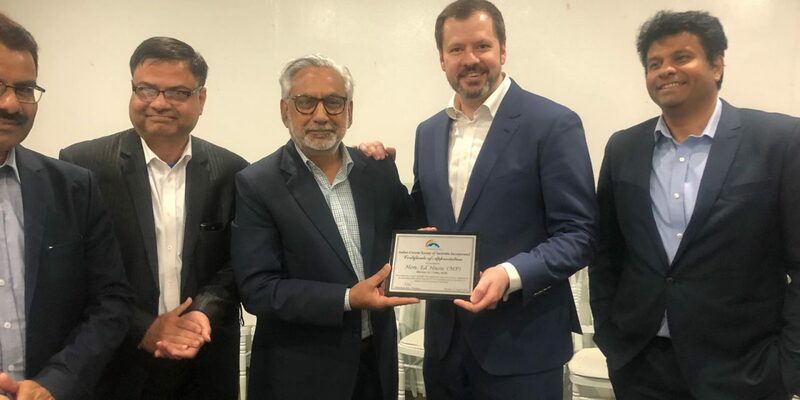 Dr Fasihuddin Khan, Secretary of ICSOA introduced the chief guest, Hon Ed Husic MP and welcomed IT professionals and communication experts at the gathering. 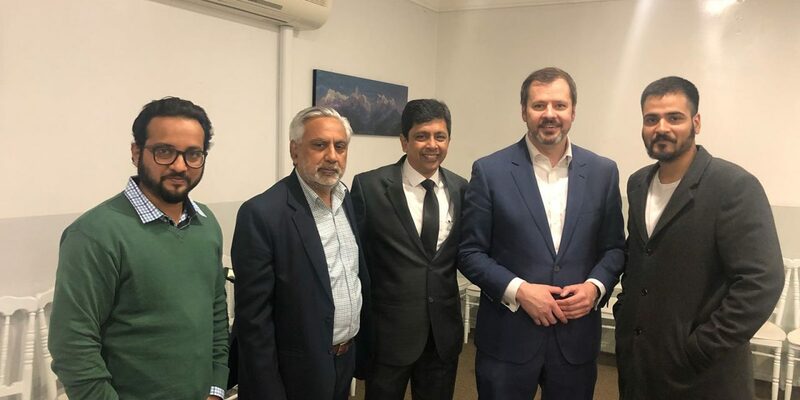 Mr Syed Jaffer shared his vision of bringing Muslim Australians of Indian origin associated with IT industry on one platform and addressing their concerns at events such as this initiative. Dr Habib Bhurawala, ICSOA Health subcommittee cordinator gave a briefing on initiatives taken by ICSOA in organising well attended events on health and well being of the community. Mr Ed Husic shared his view on the changing world and the role IT was playing in bringing about this rapid change. 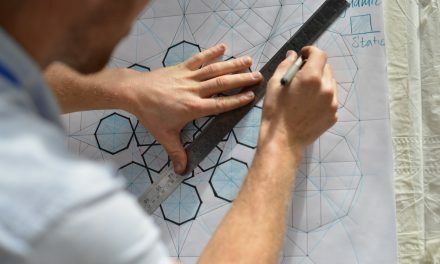 The Shadow Minister highlighted the role which IT especially “Digitisation” was playing in the modern world and that combined with “Artificial Intelligence” would have a huge impact on our future living. 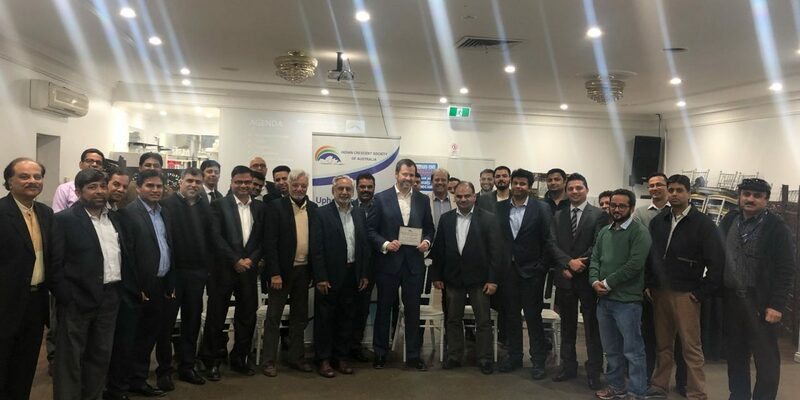 A lively Q&A session ensued after Mr Husic’s address where the Minister was queried on a number of issues concerning newly arrived IT professionals from India. Mr Parveen Jung reflected on the challenges he faced while introducing IT solutions in the medical industry especially compliance. TheMinister responded that this takes time from the regulatory point of view and he will follow up and make sure process is in place to act fast on this type of regulatory issues. Mr Siddique Panwala questioned about the not for profit sector and its policies implications on migrants, population growth and job opportunity. Mr Muhammad Javed enquired the government policy and funding to provide supercomputing power to the general public. Mr Husic agreed that the facility should exist and emphasised the need and his support for it. 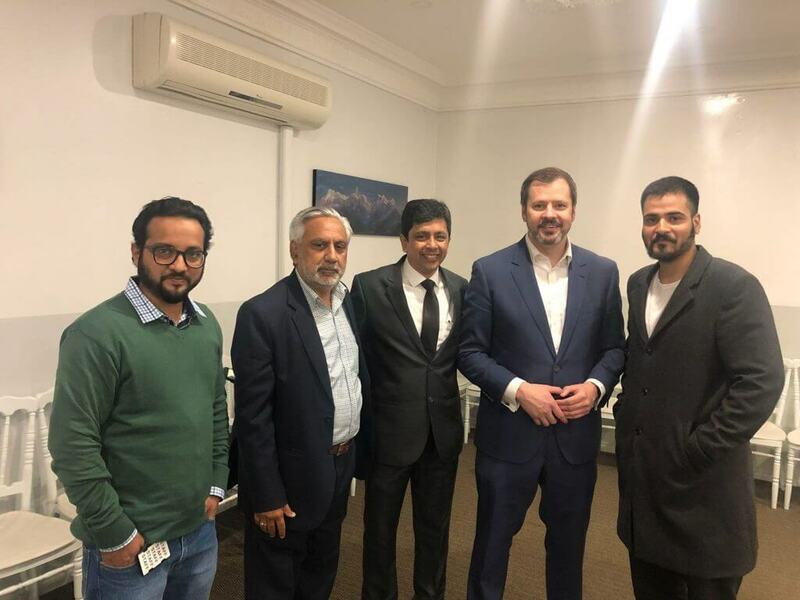 On being questioned by Mr Muhammad Javed regarding government’s vision and policy on the blockchain, Mr Husic agreed and was supportive of how blockchain may play a role in future. 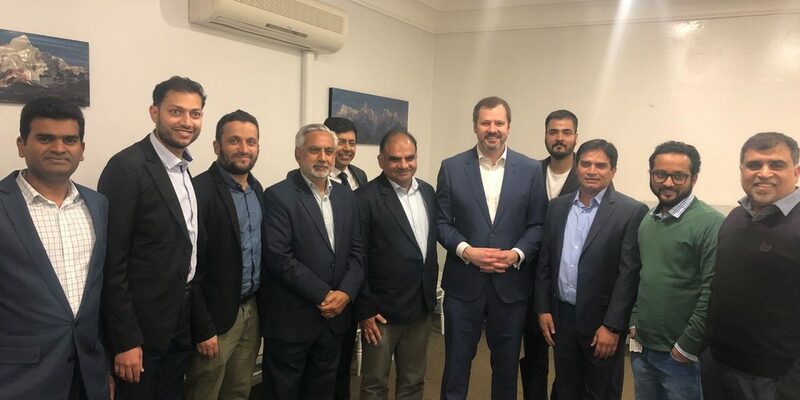 On Mr Moeen Qazi’s question of the scope of manufacturing in Australia, given the high cost of raw material, Mr Husic said that he was aware of the problem. Mr Siraj commented that skilled migrants who arrived in Australia found it difficult to find jobs matching their skill. 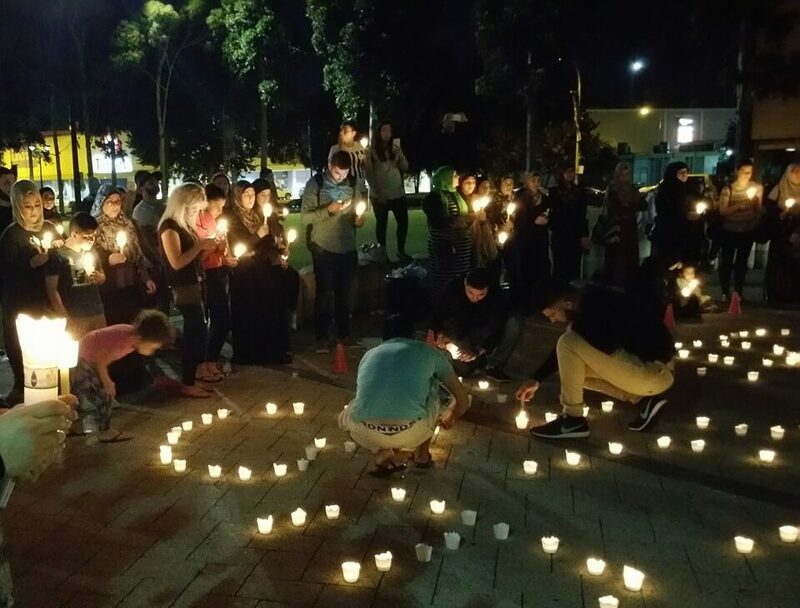 Mr Husic acknowledged that he is aware of this issue and the solution would be that big companies should get involved to help in this sector.